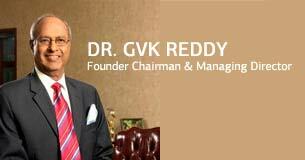 GVK is a leading Indian conglomerate with diversified interests across various sectors of economic significance. At GVK, we believe in providing reliable infrastructure that contributes to the nation’s growth and strengthens India’s position on the global map. Set-up India's first independent power plant and has over 2400 MW projects under generation and developmen. 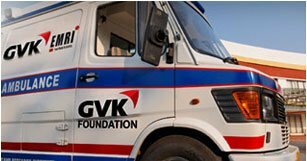 GVK envisages an investment of USD 10 billion to create one of the world’s largest integrated mine, rail and port project in Australia. One of India's largest private sector airport operators handling over 45 mppa through India’s first brownfield airport under PPP model – Chhatrapati Shivaji International Airport, Mumbai and and 2 more in Indonesia. Developed the first six-lane expressway project in India under PPP model and has around 1500 lane km projects under various stages of operations and development. Leading Indian Hospitality partner with seven premium properties across Hyderabad, Chandigarh Mumbai and Chennai. With over 2000 scientists, GVK BIO, Asia’s leading Contract Research Organisation, offers support across various phases of research from Discovery to Development. With India on the growth trajectory, the need for more power, modern airports and better roads is indispensable.